September 17th 2005: Whilst standing in the middle of a field freezing to the core, I had this crazily ambitious idea – why not write a book? I’d been scribbling in some shape or form since the day I could hold a crayon, so I thought writing a book would be like the equivalent of a really long scribble. My name is Gary Davidson and I am a fan of music. I started writing seriously in 1998 after bumping into a couple of girls who ran a fanzine called Spudgun. After a year or so, I began to write for Oxford’s number one music monthly Nightshift. This lasted until 2005. I was also lucky enough to spend a few years contributing to the well-established Fly and Logo music magazines. Being wrapped up in the euphoria of seeing a band you love can do funny things to the mind, but Sofia and Martin (who were also standing on the clifftop) assured me that they thought it was a great idea. Surely my decision to write a book couldn’t purely be put down to the overactive endorphin situation streaming through my brain after receiving a wealth of outstanding live music – could it? Could this actually be one of the most erratic, yet important decisions I’d ever made? “A heart driven trawl through the rigours, delights, confusion and loyalty that only a fellow Wildies fan could identify with. If you love The Wildhearts you’re going to enjoy this passionate labour of love, written over many years, detailing the band’s career through the eyes of a fan. I’m extremely fortunate to have such amazing support from the world of Wildhearts fans and I am deeply flattered that a book such as this exists. Full of laughs, introspection and rock ‘n’ roll antics, The Wildhearts: Zealot in Wonderland is the story of one man’s unexpected thrust into a powerful obsession with British rock band The Wildhearts. Like every honeymoon period, this one begins with the sun in the sky and the stars to aim for. However, as I get to grips with my own life, relationships, and debilitating depression, what once seemed like a simple journey to my younger self spirals out of control, until my longing for an interview with The Wildhearts’ lead singer, Ginger, causes the honeymoon to turn sour. But through it all, it is ultimately the music which sees me through. 28 April 2007: The first draft of Zealot and a proto cover which I handed over to CJ at Oxford’s Zodiac. I hadn’t thought about interviewing band members because Zealot In Wonderland is primarily about a fan’s view of the band. But when a friend told me he’d come upon a website called Rock ’n’ Roll TV curated by Bam – a Wildhearts drummer back in 1992 – it got me thinking, ‘Wouldn’t it be great if I could interview past and present members about their time in the ’Hearts and their musical stories and loves while growing up?’ Yeah, it would be great… so I did. I originally intended all the interviews to feature in the back of the book, but it soon become apparent that doing so would have sent the word count into crazy figures. 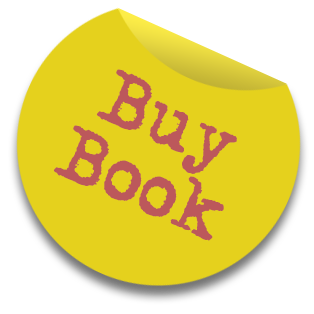 So the idea was born to feature snippets throughout the book and place the full interviews on a website. With the interviews taking place over the course of writing Zealot between 2006 and 2013, they are shaped by the time at which they were conducted and the circumstances of that time. Nevertheless I hope there is something in there for everyone, maybe little nuggets of information you haven’t heard before, or something that catches your interest or brings back a distant memory or two. I also asked a selection of people with unique Wildhearts connections, or special stories, if they fancied writing a piece. If you’ve read Zealot before these interviews you’ll be fully aware that I tried fruitlessly to obtain an interview with Ginger. I wanted to acquire Ginger’s side of things to get a balanced opinion on the Mark Keds disappearance story and other aspects that had popped up whilst interviewing the other members of The Wildhearts. Believe me the last thing I want any of these interviews to do is cause friction between members of the band. What you are about to read are the exact words expressed in the interviews. Nothing has been added or twisted for sensationalism. The rest of the interviews will be added to the website over the coming months. 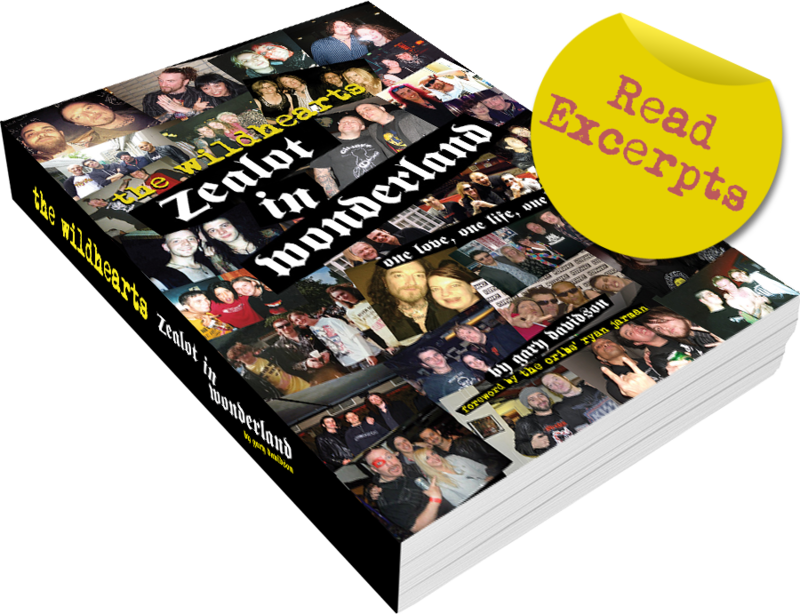 Zealot In Wonderland is a world away from Ginger’s Songs & Words book. 1. It was written by little old me and not the legend known as Ginger Wildheart. Therefore its focus is on my life being a fan of everything Wildhearts/Ginger. 2. You can take Zealot on holiday without having to pay excess baggage fees. 3. Songs & Words will outsell Zealot In Wonderland by amounts not calculable. Zealot In Wonderland is similar to Ginger’s Songs & Words book. It’s a raw, honest, warts and all account of a man who lives and breathes music.